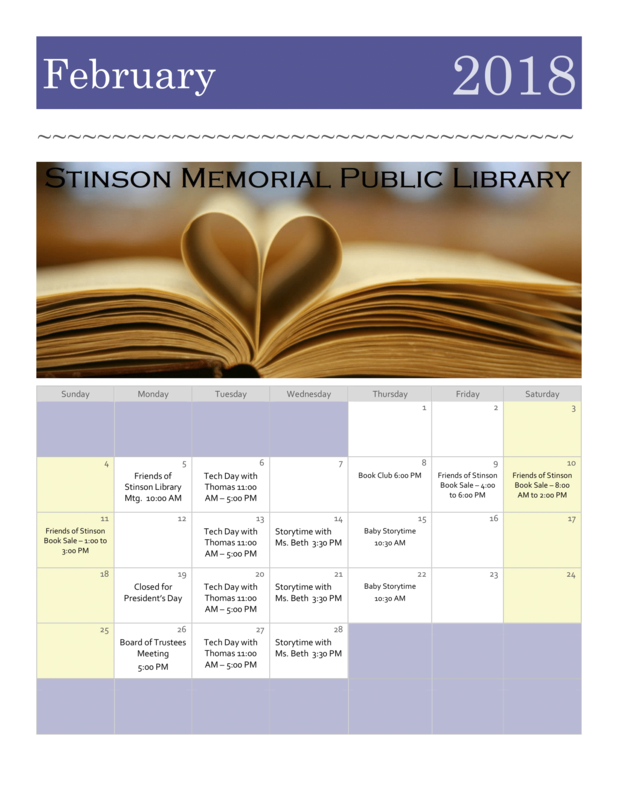 The Friends of Stinson have three book sales a year, usually around February, June, and October. We love to have teenagers who are able to volunteer their time help us! If you or someone you know is interested in volunteering to help with the summer reading program call us ( 833-2521]) and ask to talk with the childrens’ librarian Beth Sisler. Even better, see you soon! I had registered my 3 children for the summer reading program through Sunrise but I had to pull them out till I went back to work. Do you have Katelynne and Olivia Heinrichs and Jacob Fulkerson registered for this program? Thank you for your time and consideration with this matter. Thank you for reaching out to us. To answer your question, yes, we have all three of them registered so there is no problem with them coming to whichever session is most convenient. I believe all three of there were here this morning, but I can only confirm Katelynne and Olivia (we didn’t get Jacob’s registration until this morning). We’re looking forward to seeing them again next week! Thank you so much. All 3 of them were here this morning/afternoon. They had a blast looking forward to coming next week!